Kathleen has lined up another month of activities and is introducing a new one! 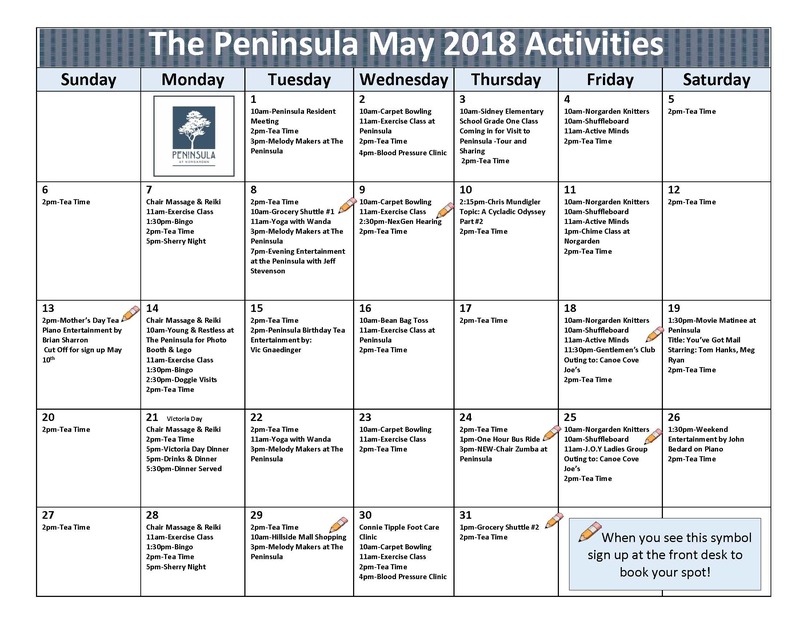 Come on over, or down to The Peninsula on Thursday May 24th at 3pm to try out Chair Zumba! It will be upstairs in the second floor activity room and lead by Sherry Zak on the big screen. 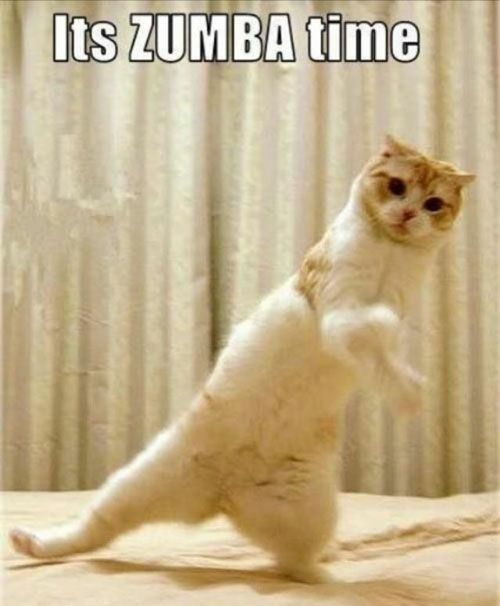 This sounds like fun and a new way to get the body in motion! Yoga, is another wonderful way to get the body in motion through gentle stretches and mindful movements, all done while sitting in a chair. No, there will not be any “downward dogs” or “standing tree” poses. Wanda is a wonderful instructor who combines movement, mindfulness and body/mind alignment in her 30 minute class. Check out the calendar for the dates she will be in each building. The movie this month is “You’ve Got Mail.” In this romantic comedy, Joe Fox and Kathleen Kelly both live on New York City’s Upper West Side. They meet in an Internet chat room but keep their real identities secret. Although their online personas get along wonderfully, when they unknowingly bump into each other in person, sparks start flying. It is a lovely feel good movie. Outings this month include The Gentleman’s Club on the 18th at 11:30, heading out to Canoe Cove Joe’s, and the ladies group, J.O.Y. heading out on the 25th, and also going to Canoe Cove Joe’s. 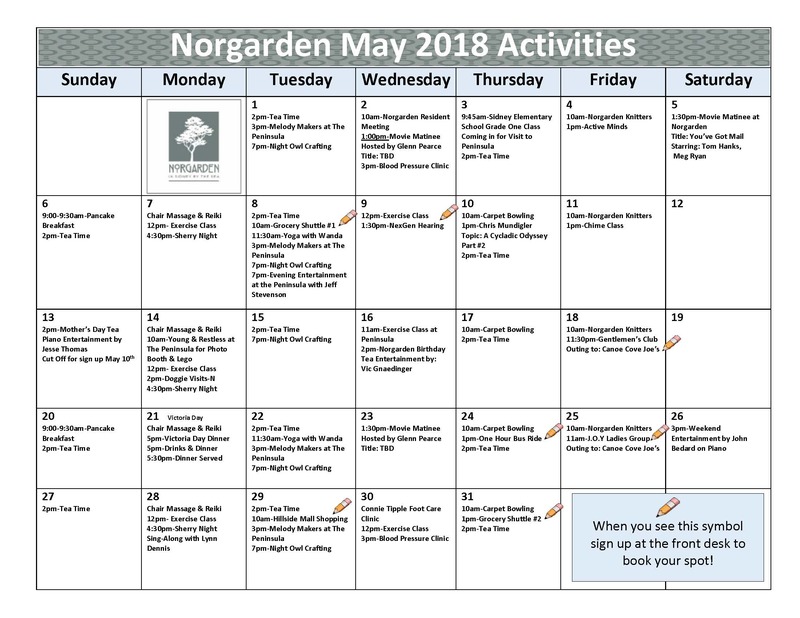 Please see the calendars below for all of the activities this month. To enlarge the calendars, please click on the image, then click again to make it even larger.